Lawmakers question big pay hikes at UH. 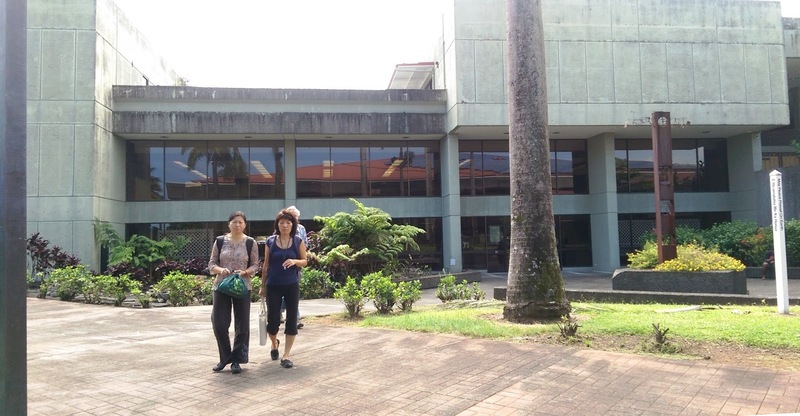 Some lawmakers are blasting a decision by the University of Hawaii to award $800,000 in pay raises and merit-based bonuses to university executives. Star-Advertiser. End of tax write-off for premium seats may hit hard at UH. In good years UH has grossed as much as $4.4 million annually from its premium seat contributions and parking initiatives, or as much as 10 percent of the revenue it takes to run the 21-team athletic program in Manoa. Star-Advertiser. The Hawaii Department of Education is thinking up new ways to attract teachers to the state to address an ongoing teacher shortage, starting with looking at teacher-exchange programs with other countries. Civil Beat. Hawaii Medical Service Association has hired two high-profile former state employees. Kathryn Matayoshi, former superintendent of the Department of Education, was hired to lead the sales team, and former state representative Pono Chong is joining Hawaii’s largest health plan as a lobbyist. Star-Advertiser. A new Community-Based Renewable Energy program is designed to open the door for people previously shut out of the solar market. Hawaii’s long-awaited Community-Based Renewable Energy Program is designed to let residents, including renters, buy their electricity from off-site producers of renewable power. Civil Beat. Rental Housing Report. A recent study that tracks rental housing across the country throws some light on the plight of families in Honolulu and Hilo as they struggle to make rent spending more than a third of their salary for housing. Hawaii Public Radio. Filing error overvalues Island Air's assets. Hawaiian Holdings Inc. (Nasdaq: HA), the parent of Hawaiian Airlines, last week agreed to pay $750,000 for the assets of its now defunct competitor. Due to the filing error, Hawaiian will now only have to pay $625,000. Pacific Business News. The Rat Lungworm Task Force. The State Department of Health has created a Rat Lungworm Task Force to look at this daunting disease. Hawaii Public Radio. Suits Against Honolulu Cops Cite ‘Culture Of Silence’ At HPD. An attorney says the incidents that injured his clients could have been prevented if officers had been disciplined in the past. Civil Beat. About 6,200 gallons of raw sewage spilled into Honolulu Harbor today after a clogged pipe caused waste water to seep out of a manhole near Pier 38, a Department of Environmental Services spokesman said. Star-Advertiser. Oahu grapples with 3 large sewage spills over 2 days. Hawaii News Now. Homeowner at center of Portlock beach access debate suffers stroke and wife blames city. Hawaii News Now. A former employee at Waianae's largest medical facility has been indicted for the alleged theft of thousands of boxes of diabetic test strips that were later sold on the black market. Hawaii News Now. A 69-year-old woman accused of stealing millions of dollars from an Oahu non-profit pleaded not guilty in court Tuesday. Lola Jean Amorin is accused of taking $7 million from stealing millions of dollars from an Oahu non-profit pl The Arc in Hawaii, a non-profit that provides services for those with intellectual and developmental disabilities. KITV. Efforts are underway to save the Falls of Clyde. A year and a half after she was impounded by the state Harbors Division, the historic Falls of Clyde may be heading home to her birthplace of Scotland this summer. Star-Advertiser. Albatross colony at Kaena Point gets new life. Conservationists last week teamed up with the U.S. Navy to translocate 21 Laysan albatross eggs to Kaena Point Natural Area Reserve from the Pacific Missile Range Facility on Kauai. Star-Advertiser. For aircraft safety (and theirs), 21 albatross eggs relocated to Oahu. Twenty-one fertilized Laysan albatross eggs have been taken from a colony on Kauai, where the protected birds are an aircraft strike hazard. Hawaii News Now. One of the state’s largest charities is worried it will have less money to help those in need next year because of tax changes that take effect next month. KHON2. Honolulu-based Hawaiian Islands Land Trust will honor Henk Rogers and Blue Planet Foundation, the clean energy nonprofit he founded, at its 17th annual Buy Back the Beach: Malama Kipuka Benefit Luau on Jan. 20. Pacific Business News. Paradise Park founder had knack for numbers and real estate. James Wong is probably most known for establishing Paradise Park in Manoa Valley. But he also developed real estate on Oahu, taught accounting at Chaminade College and in recent years lobbied for bills at the Legislature to improve affordable-housing production. Star-Advertiser. Five Big Island regions are especially vulnerable to contamination from cesspools, a state report says. The Dec. 19 report to the Legislature by the Department of Health says the Big Island is home to more than half of the state’s 87,900 cesspools, and has five of the 14 areas prioritized for cleanup. West Hawaii Today. A driver’s insurance policy should cover the cost of replacing approximately 15 headstones damaged or destroyed after a vehicle plowed into Hilo’s Alae Cemetery last week, according to the Hawaii County Department of Parks and Recreation. But the department is still asking family members to call so they can help replace the grave markers. Tribune-Herald. Adult Correction Officer Recruitment Opens on Maui. Maui Now. Lost funding has put brakes on local Read Aloud program. Cost cutting has led to loss of vans, use of U-Haul vehicles. Maui News. 1,275 Rocks Returned to Haleakala in 2017. Letters of apology to Pele, the Hawaiian goddess of fire and volcanoes, often accompany these rocks. Maui Now. Coastline changes. While geologists say shifting sands aren’t unusual, it’s a prediction of what could be coming in the next few decades and scientists say long-term studies of the area are necessary. Garden Island. Expedia Travel featured Lihue as one of the best vacation destinations in America to escape the winter, mainly because its average temperatures in January reach a warm 78 degrees and drop to a comfortable 65 degrees. Garden Island.